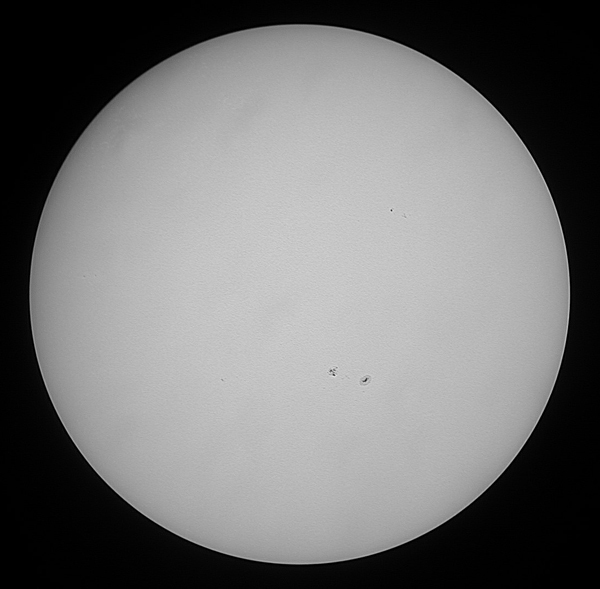 The following images were produced using a Baader white light filter on an ETX125 telescope using a Nikon950 digital camera and Coronada Personal Solar Telescope (PST) and an SC1a modified webcam for the hydrogen alpha images. 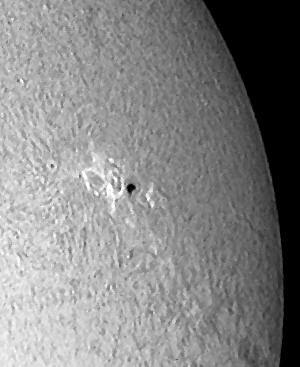 This shows the Sun's disc with a close up of the Active Regions below. 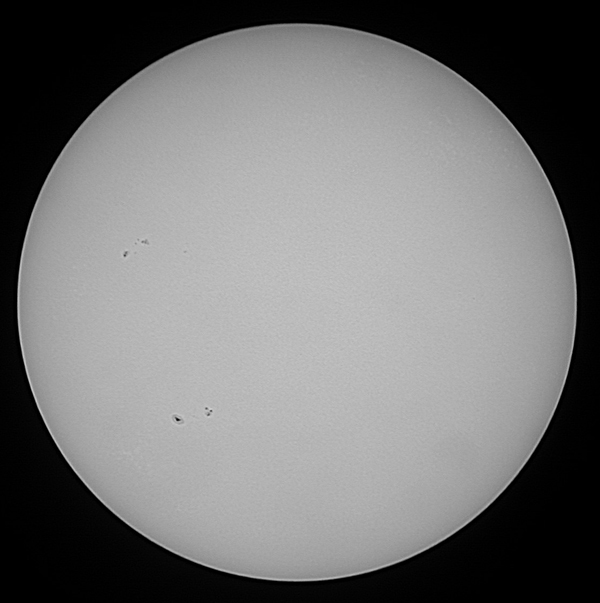 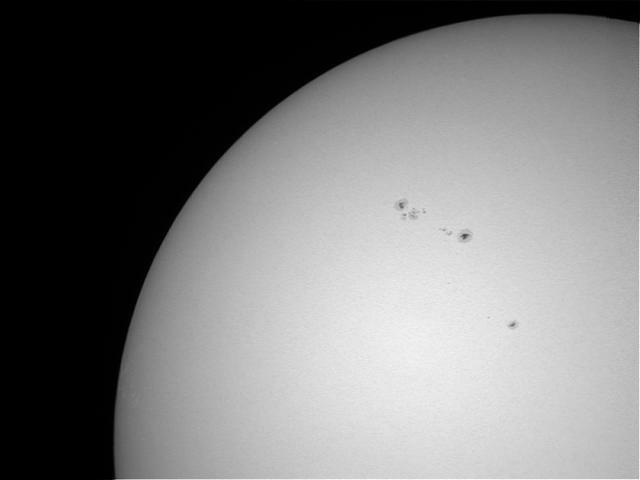 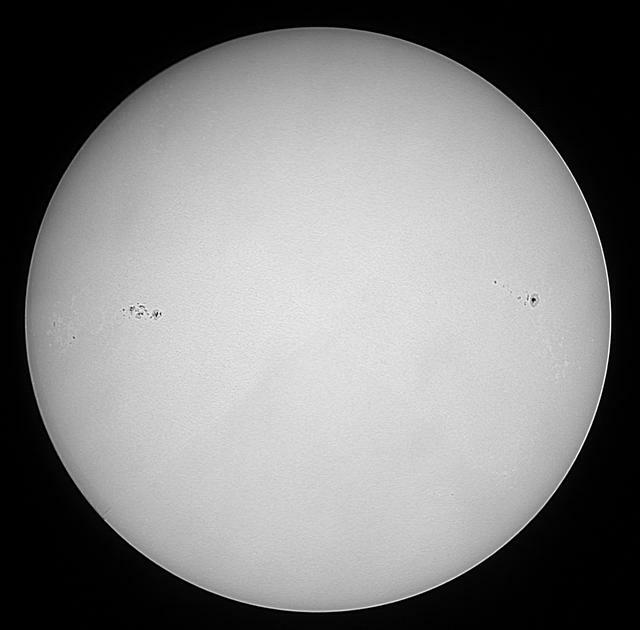 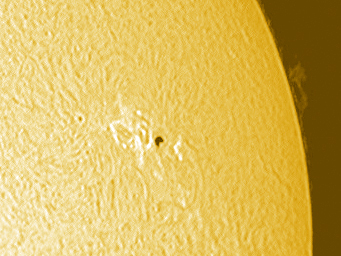 Notice the sunspot very close to the limb on the left hand side. 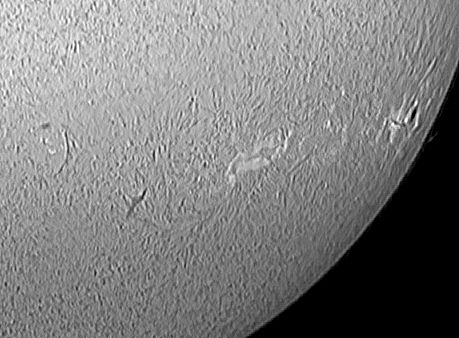 Notice the light "streaks" in the lowest image. 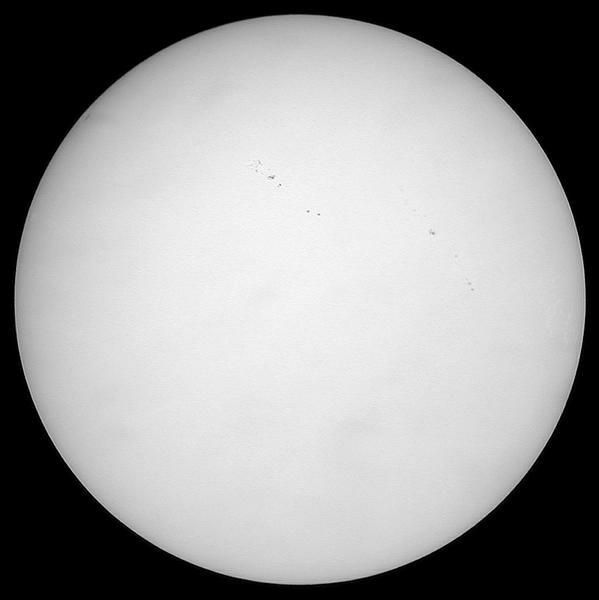 These are real features on the Sun's photosphere known as flaculae. 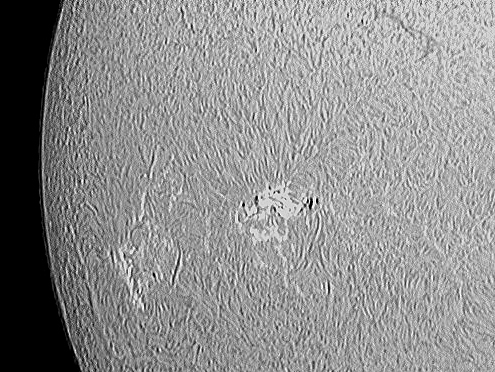 Whole disc with details of Active Regions 1193 first and then 1195. 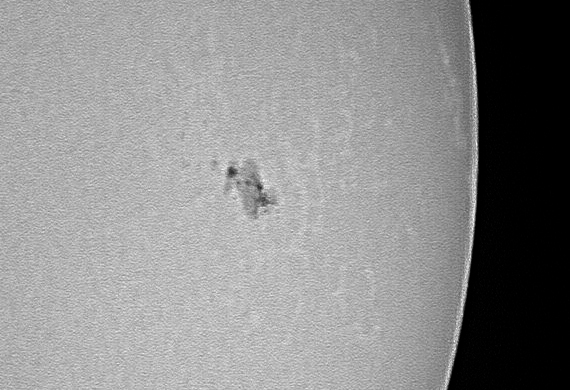 First try at imaging with a webcam through my PST on the same day. 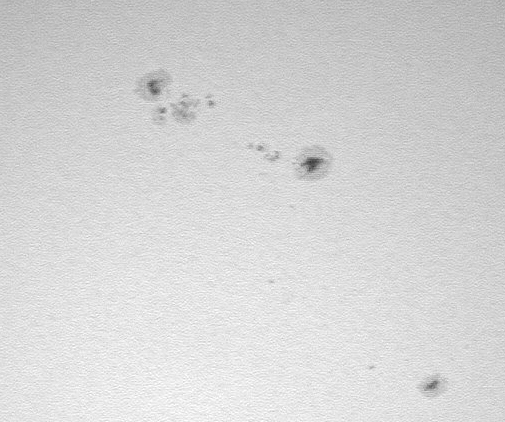 AR 1193 on the left and 1195 on the right. 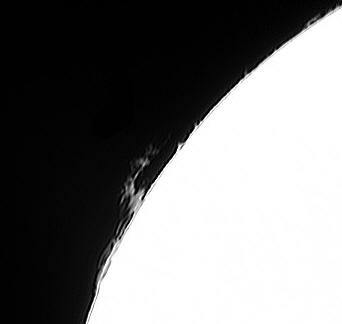 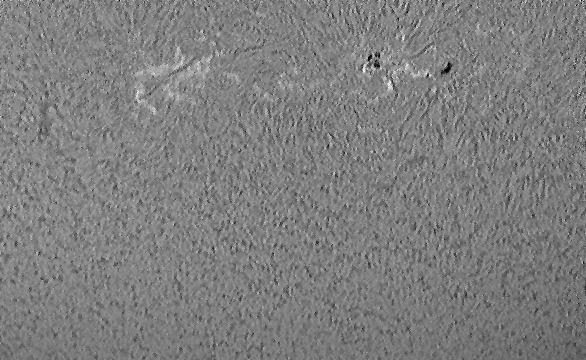 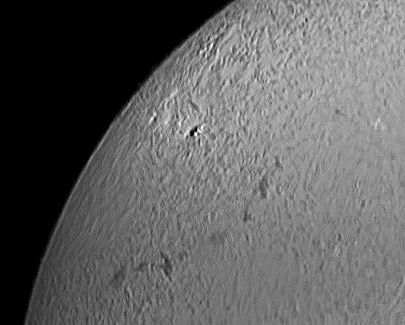 The two images below show a prominence on the north west limb and an attempt to add colour to the AR1195 image which shows another prominence, not visible in the monochrome image. 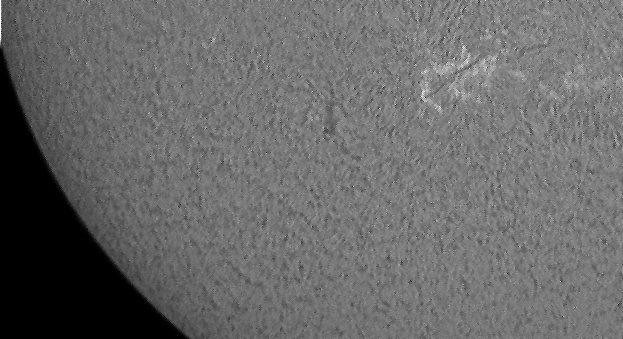 Full disc with a close up of the large Active Region. 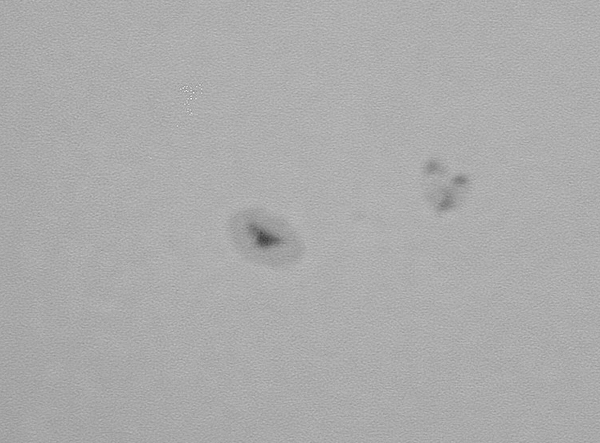 The Active Region in hydrogen alpha, not very well processed. 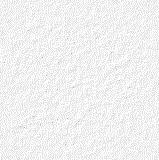 Still trying to figure out how to do this so every attempt is different! 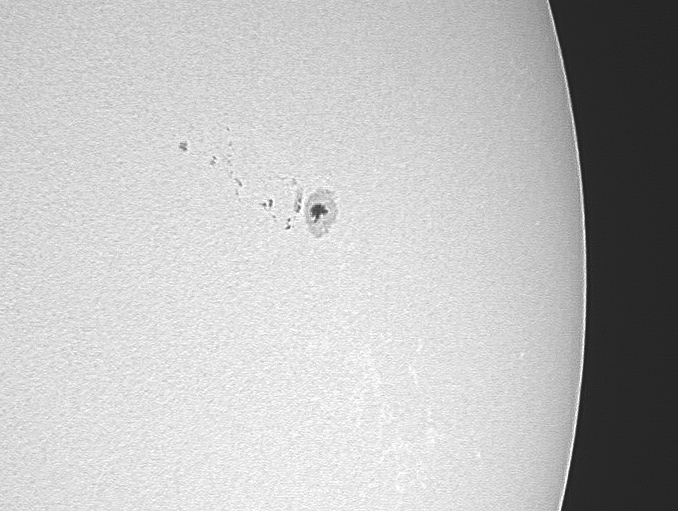 Solar disc with AR1199 and 1195 below that. 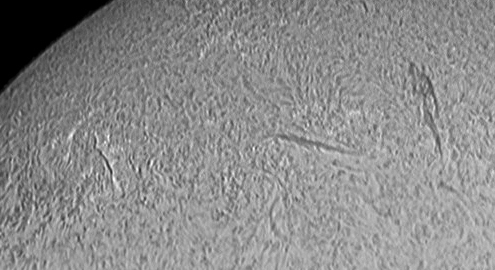 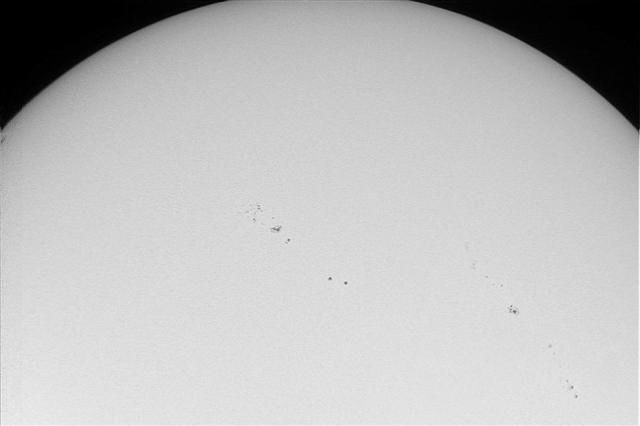 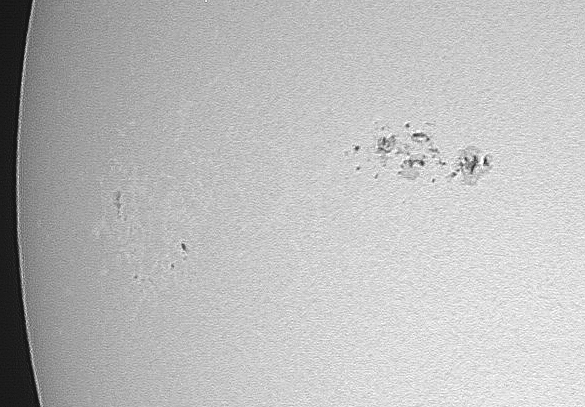 The region around AR1195 in hydrogen alpha with filaments above AR1199 below. 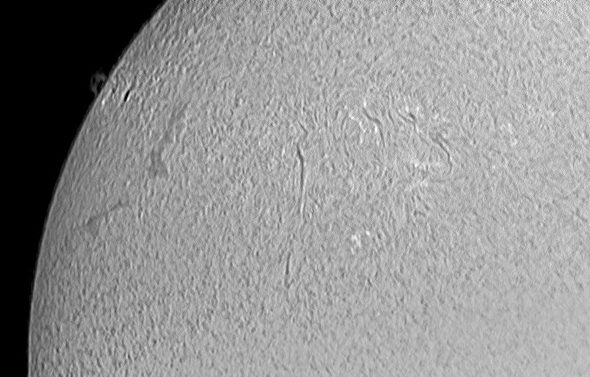 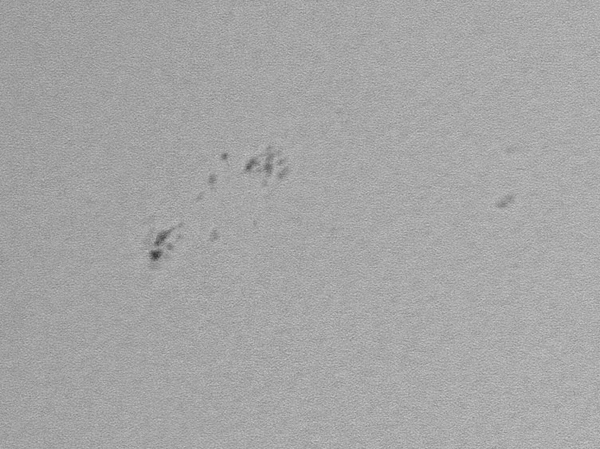 No white light images today, just some h-alpha which I was able to mosaic to show the Filaments across the disc, and a small prom. 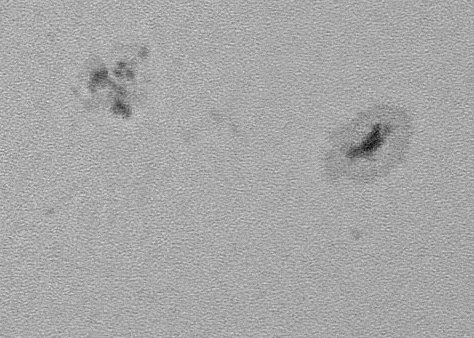 Hydrogen alpha only again. 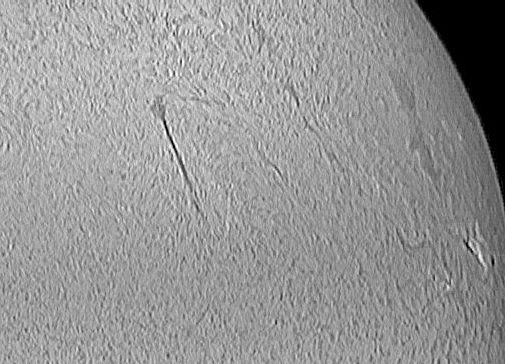 Each part of the broken filament stream in the first image is about the same size as the Earth.